Almonds are packed with a rich source of protein that is an essential factor for your hair structure. They contain vitamin E, an antioxidant that helps to reduce inflammation and promote hair growth. Apply this mixture to your clean (washed) and damp hair, and gently massage the mixture into your scalp. To make your pumpkin paste: boil the pumpkin, and put several chunks in a processor and blend until smooth. Damaged hair needs protein for repair, and eggs are one of the richest sources of protein to fulfill this need. In addition to proteins and enzymes, it also contains lecithin, micronutrients, and vitamins. The vitamin D content helps to prevent hair fall. Its moisturizing effect helps to fix damaged hair effectively. Eggs also strengthen and nourish weak hair, which will leave your hair feeling silky and smooth. Olive oil contains a rich source of omega-3 fatty acids that play a key role in hair growth, strength, and shine. They also contain antioxidants that help to fight off free radicals that cause premature hair greying. 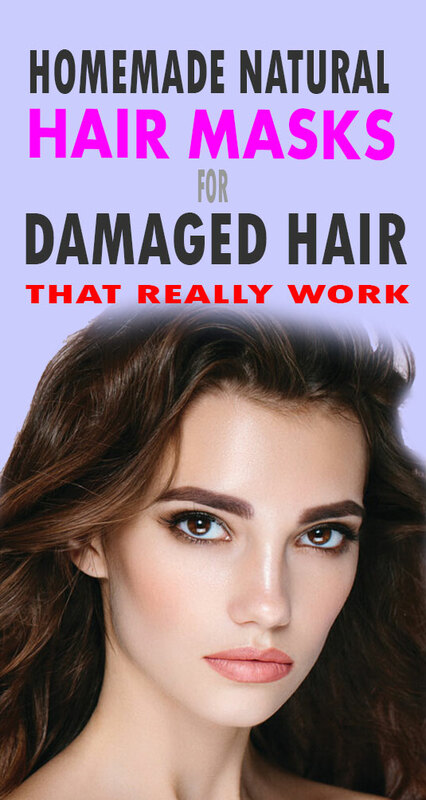 Is your hair fragile and brittle? If so, you will love this hair mask. Bananas help to improve hair condition, strengthen hair and prevent premature hair aging. Bananas even contain biotin that encourages healthy hair regrowth.